Take a stroll through Martinborough and you will discover a region of amazing winemakers producing wines of quality and sophistication. Courtesy of Escarpment Vineyard, Dry River, The Elder Vineyard, Cambridge Road, Luna Estate, Poppies Martinborough, Ata Rangi, Te Kairanga and, Devotus. It says a lot about the boutique winemaking community of Martinborough. Indeed, like many small winemaking areas, consistent quality across the region’s wines is the fundamental goal. There’s no evidence of competition. Rather, a group of dedicated producers who, despite ranging from tiny family- owned operations such as Devotus and Kusuda to the larger, cashed-up establishments such as Craggy Range and Foley Family Wines, maintain an air of neighbourliness fed by healthy levels of collaboration and ultimately, a passion for New Zealand’s real gift to the wine world: pinot noir. And what a gift it is! Martinborough’s reputation for producing high quality pinot has been known for almost as long as the region’s existence, but it’s a reputation that has seen extraordinary growth in recent times. “When I came here in 1986 there were only four wine producers,” says McKenna, who to many is recognised as one of the region’s father figures. “Three of them are amongst the best that are still here”, referring to Martinborough Vineyard, Ata Rangi and Dry River. 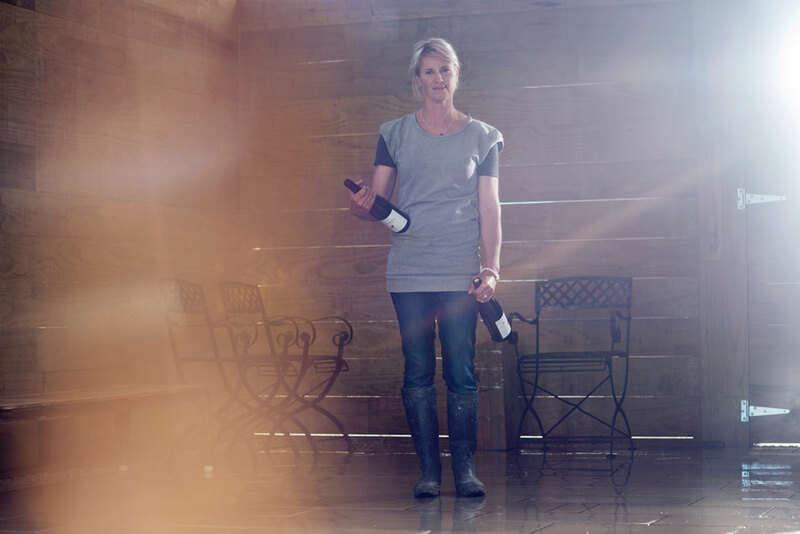 “It’s fair to say,” he continues, “that the combination of vine age and producers’ experience with the district has certainly equated to a gradual increase in quality.” The pursuit of excellence is always top of mind, to which Ata Rangi winemaker Helen Masters attests. “If I need something done, there’s no question about cost, time, effort,” she says. 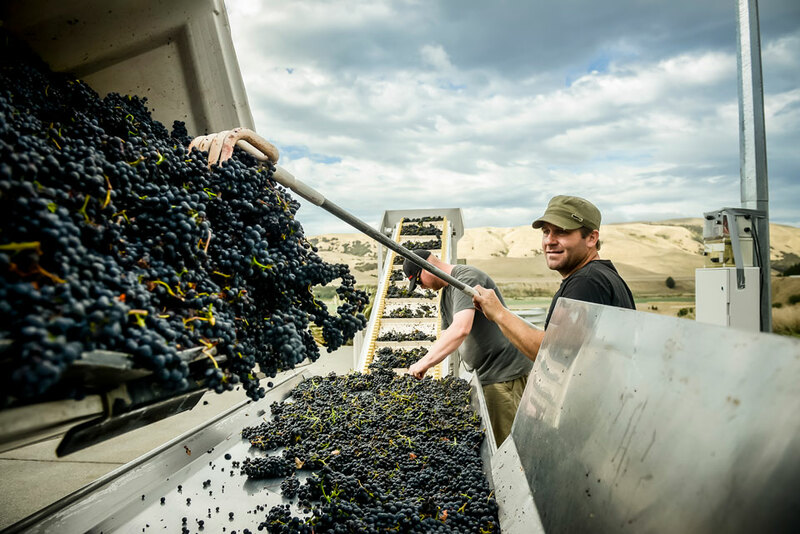 “We just make it happen.” The irony, as any visitor to the region is bound to hear, is that Martinborough contributes just one per cent of New Zealand’s annual grape crush but is home to 10 per cent of the country’s winemakers. If that’s not saying something about the quality of the wine, what is? The Elder Vineyard’s Mike and Margaret Hanson grow enviable pinot gris and pinot noir vines. The wines here are centred on a few key varieties, but unlike many other regions, are almost impossible to pigeonhole. Everything from the flat, free-draining gravel vineyards of the Martinborough terrace to the denser stony clay soils of Te Muna Road, the heavy focus on terroir, or vintage, or clonal selection, or all of the above, result in a wealth of wine styles that share the common ground of elegance and richness and speak loudly of time and place. Pinot noir is by far the region’s hero – which typically, thanks to the region’s climatic similarities to Burgundy, produces beautiful medium-bodied wines with dark plum fruit flavours and distinct savoury characters – followed closely by luscious pinot gris and mineral-like sauvignon blanc, as well as chardonnay, riesling, gewürztraminer and syrah. Joel Watson of Luna Estate. The township was established in the late 1870s by John Martin, an Irish landowner whose patriotism for home remains evident in the Union Jack-shaped town square. However, the region’s modern wine industry wasn’t established until a century later after soil scientist Dr Derek Milne conducted a report that yielded the resemblance-to-Burgundy results. He subsequently founded Martinborough Vineyard; others soon followed suit and those four or five founding producers spawned a progressive farming community that lives and breathes the ‘wine is made in the vineyard’ philosophy. It’s a special place. It’s a beautiful place, too, with its flat topography heavily contrasted by the surrounding Aorangi and Remutaka Ranges but complemented by charming colonial architecture, striking shelter belts and olive groves and a handsome town square. And like any good country town, there’s also a great pub, frequently buzzing with locals, tourists and of course, plenty of thirsty winemakers – especially during harvest and around the annual Toast Martinborough wine festival, which takes place in November each year and attracts around 9,000 visitors. Poppy Hammond with her pride and joy. Martinborough is about an 80-minute drive north-east of Wellington via the spectacular Remutaka Range. Your best bet is to hire a car at Wellington airport, but there are a couple of shuttle options if you’d prefer to keep away from the driver’s seat – visit rimutakashuttles.com or martinboroughshuttles.co.nz for more info. There’s also a train from Wellington to Featherston, with the Martinborough bus service meeting every train. Once you’re there, hiring a bike from one of the town’s vendors is a great option to get around, with the majority of cellar doors only a short and easy pedal away. With recent immaculate renovations and a centre-of-town location, one of the 22 rooms at the Martinborough Hotel (martinboroughhotel.co.nz) is an excellent option. It books out quickly, especially during the warmer months, so be sure to reserve a room in advance. If staying among the vines is more your thing, check out Peppers Parehua (peppers.co.nz/parehua) or one of Luna Estate’s Blue Rock Vineyard cottages (lunaestate.co.nz). For many, Ata Rangi (atarangi.co.nz) is the best-known representation of Martinborough pinot noir, so head here first. Established in the early ’80s by local dairy farmer Clive Paton and sister Alison, Ata Rangi has built a tidy reputation for itself while maintaining its boutique family operation status. 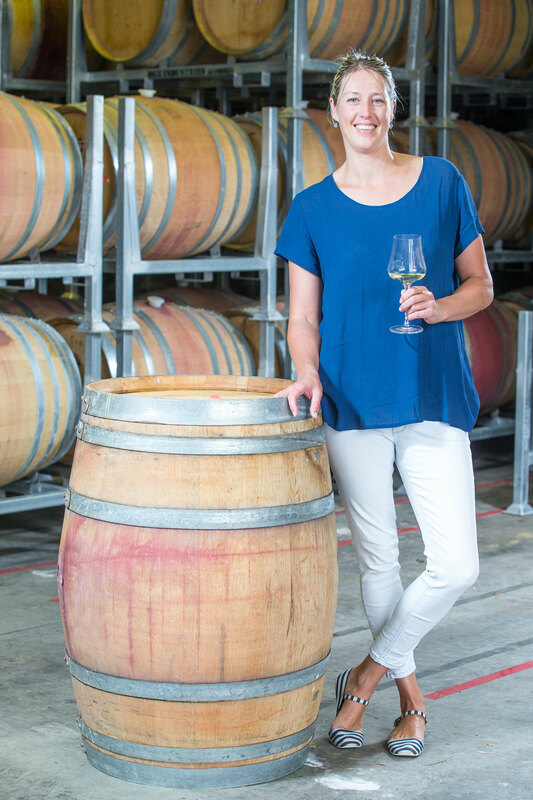 Clive is more focused on native tree regeneration these days, but winemaker Helen Masters has really pushed the quality envelope since she joined in 2003, and she continues to be both the face of the brand and an influential industry figure locally and overseas. 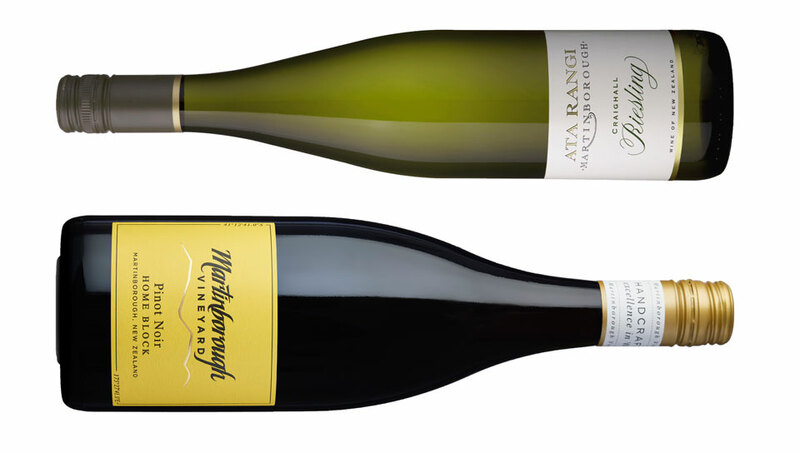 All the vines are organically certified, and while the flagship Ata Rangi and McCrone Vineyard Pinot Noirs, and Craighall Chardonnay are unarguably their most sought-after wines, the 2018 Raranga Sauvignon Blanc offers textural complexity and smashing value at A$26/NZ$24, as does the Bordeaux-inspired 2015 Célèbre (A$36/NZ$40). Cellar door tastings are offered twice a day by appointment only. Braden Crosby from On Giants’ Shoulders. Their wines are all exceptional and great examples of the Martinborough style, and visitors will be able to taste them by appointment from early 2019 (the tasting room was delivered on a semi-trailer during my visit, so watch this space and be sure to be one of the first to try). The midday hunger will be earned so head down Puruatanga Road for the most amazing lunch platters and delicious, delicate expressions of Martinborough wine at Poppies Martinborough (poppiesmartinborough.co.nz). In 2012, winemaker Poppy Hammond and her viticulturist husband Shayne, both ex-Dry River, opened their dream venue, which acts as a cellar door, restaurant and wedding venue, to great acclaim. In fact, it’s busy during all hours of operation, so it’s advised to book ahead. The wine styles here are very much on par with the venue’s atmosphere: modern and seamless, yet approachable and honest. Tempranillo is Poppy’s vinous obsession; visitors who get to try it are deemed the lucky ones as it sells out every year, but the repertoire also includes a stunning rosé, pinot noir and gris, riesling and chardonnay, as well as a perfumed and vibrant gewürztraminer. Dave Shepherd and John Kavanagh from Te Kairanga. 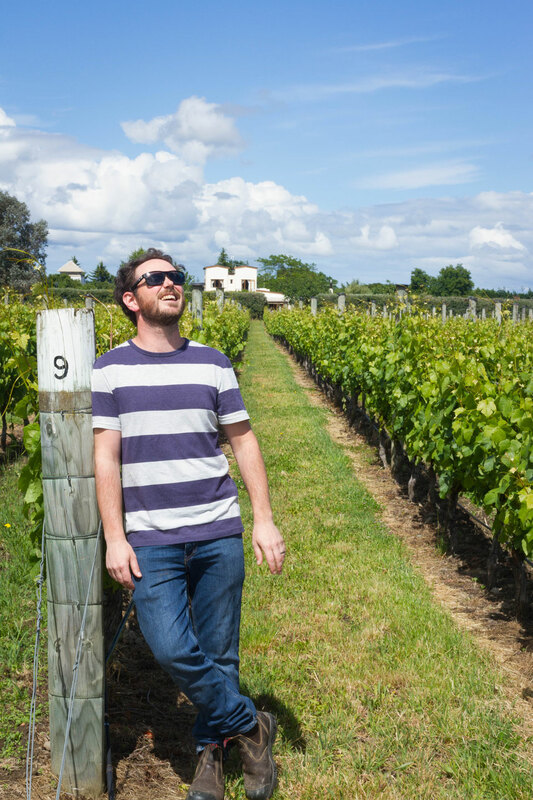 With a background in biodynamic farming and winemaking experience in Tasmania and Oregon, Lance Redgwell of Cambridge Road (cambridgeroad.co.nz) is one of Martinborough’s most creative and innovative producers. 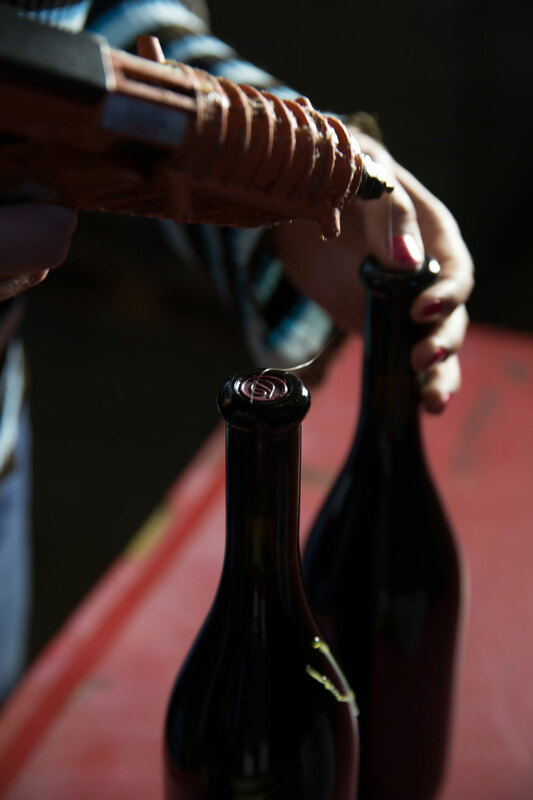 Constant evolution and out-of-the-box thinking have resulted in a suite of wines that encompasses the traditional styles of pinot noir that fully express the 1986-planted site, which Redgwell purchased in the early 2000s, as well as more experimental offerings such as the 2018 Cloudwalker (A$36/NZ$30) and the 2017 Papillon Noir (NZ$40). “If you have a fixed rule book it’s hard to face the challenges and instincts that differ each year,” says Redgwell. Head over to Te Kairanga (tkwine.co.nz) for the day’s final stop. 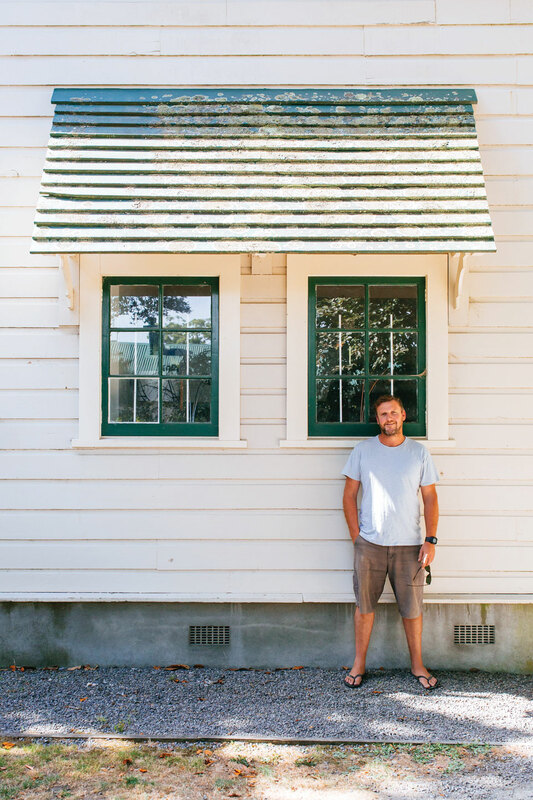 Housed in The Cottage, a 19th-century home built for one of John Martin’s stockmen, this striking cellar door is also home to Martinborough Vineyard (martinborough-vineyard.co.nz) and Lighthouse Gin (lighthousegin.co.nz). With renowned winemakers John Kavanagh and Paul Mason at the helms of Te Kairanga and Martinborough Vineyard respectively, alongside Foley Family Wines Chief Group Winemaker Alastair Maling, the two brands offer stunning expressions with exceptional value to boot. Pinot noir and chardonnay are the central focus, but sauvignon blanc, riesling, rosé and pinot gris are given a solid look-in, too. Lance Redgwell of Cambridge Road. Grab a shady spot under the trees to compare the different site expressions in each wine before a tasting of the Lighthouse Gin range. Established in 2005 by Neil Catherall, the production is now entirely managed by small batch distiller Rachel Hall, whose measured and delicate approach has resulted in two unique gins crafted with local botanicals and spring water. It’s time to settle in for the evening so head back into town and to the Martinborough Hotel for a cleansing ale before a top-notch bistro dinner at the attached Union Square. A nourishing breakfast is in order and local institution Cafe Medici is a great option before heading to the first stop of the day: Dry River (dryriver.co.nz). 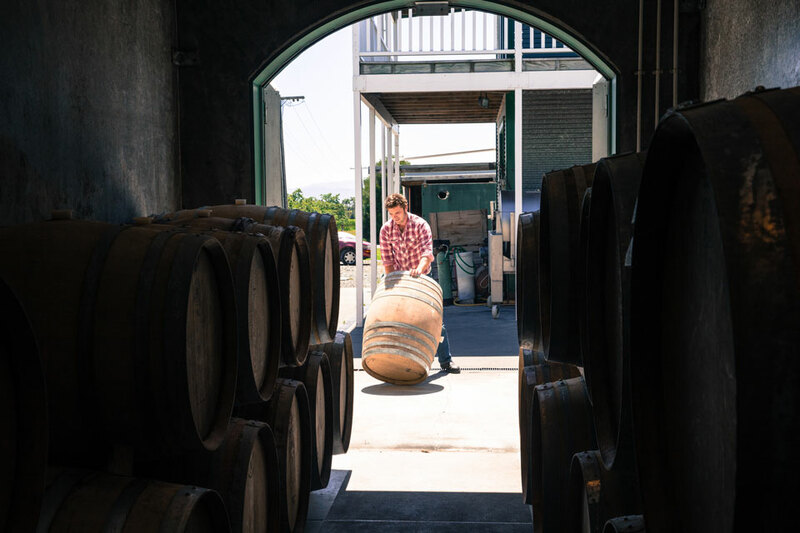 Established by Neil and Dawn McCallum in 1979 as one of the region’s pioneering vineyards, Dry River is one of Martinborough’s preeminent, iconic producers. The McCallums sold up in 2003; the witty and hospitable Wilco Lam is the current winemaker, and he continues to do a brilliant job, along with his team, of maintaining the quality of wines with maximum respect for the site. Pinot gris, gewürztraminer and riesling are the focus here, along with pinot noir, tempranillo and syrah, all of which are exceptional. The fact that the majority of Dry River’s wines sell out each year via their mailing list is a testament to their quality and reputation. Tastings are by appointment only. Dry River shows off their iconic bottle waxing. One of Martinborough’s newest projects, Luna Estate (lunaestate.co.nz) was founded in 2011 after the purchase of the old Murdoch James vineyard on Dry River Road and was properly established in 2014 after its owner also acquired the cherished Martinborough terrace-based Alana Estate Vineyard. The jovial and passionate Joel Watson, who previously worked at Curly Flat in Victoria’s Macedon Ranges, is running the show with great success. His aim is to showcase these two unique sites through two single vineyard labels: Blue Rock Vineyard, a higher planting of pinot noir, gris, meunier and syrah, and the flat, gravel-based Eclipse Vineyard, which was originally planted to pinot noir and sauvignon blanc, but now just the former. "When I first came here, my first point of business was to rip out this block of sauvignon blanc,” says Watson. “No way was I going to have a block of bloody sav blanc growing on some of the best pinot noir soil in the world.” Luna’s first vintage was in 2016 but if the current suite of wines is anything to go by, the future is very promising. The on-site restaurant is a perfect lunch stop, offering a smart Asian- inspired menu. Heading south-east along the famed Te Muna Road, it won’t take long to realise where Escarpment Vineyard (escarpment.co.nz) received the inspiration for its name. Co-founder and winemaker Larry McKenna is one of the region’s most recognised figures and a great ambassador for New World pinot noir. Along with winemaker Tim Bourne, the team continues to take a sustainable approach to their craft, with a focus on letting the fruit speak for itself rather than forcing it into a certain style. Pinot noir is the obvious passion but McKenna’s partiality to complex, flinty chardonnay is also evident. There is no cellar door open to the public here, but tastings are available by appointment. Dry River’s chief winemaker Wilco Lam. Continue your course south along Te Muna Road until you hit White Rock Road and the home of The Elder Vineyard (theelderpinot.co.nz). 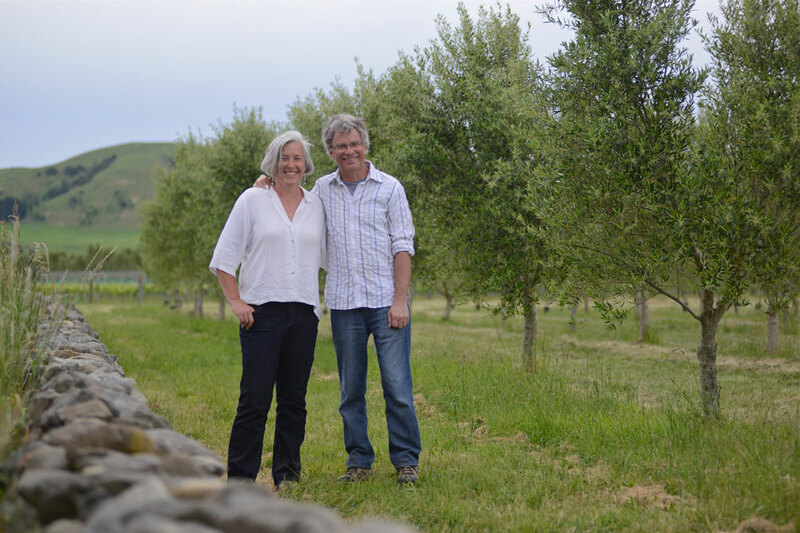 Mike and Margaret Hanson uncovered their dream property overlooking the Te Muna Valley in the late ’90s, with the intention of planting an olive grove on its 12 or so hectares. 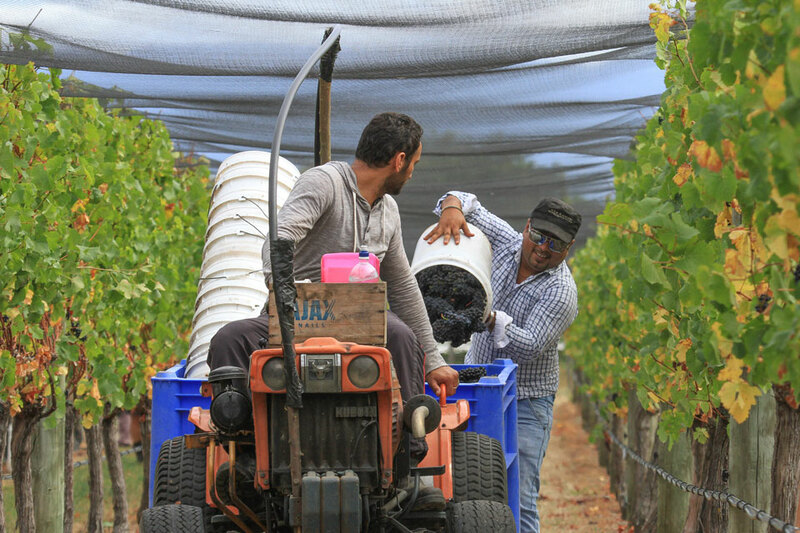 Thankfully a persuasive neighbour convinced them to plant some vines too and, with the help of Nigel Elder, one of the region’s top viticulturists, the couple have grown and nurtured some of Martinborough’s most sought-after pinot noir and pinot gris vines. The wines are of outstanding quality and speak highly of place. The 2015 Pinot Noir (A$50/NZ$65) offers supreme elegance and complexity, with great cellaring potential. Tastings at The Elder Vineyard are by appointment only. With day two under your belt, it’s time to head back into town for end of day refreshments. With a smart cocktail menu, a predominantly local wine list and delicious, vibrant Latin American-inspired plates, Mesita (mesita.net) has you covered. 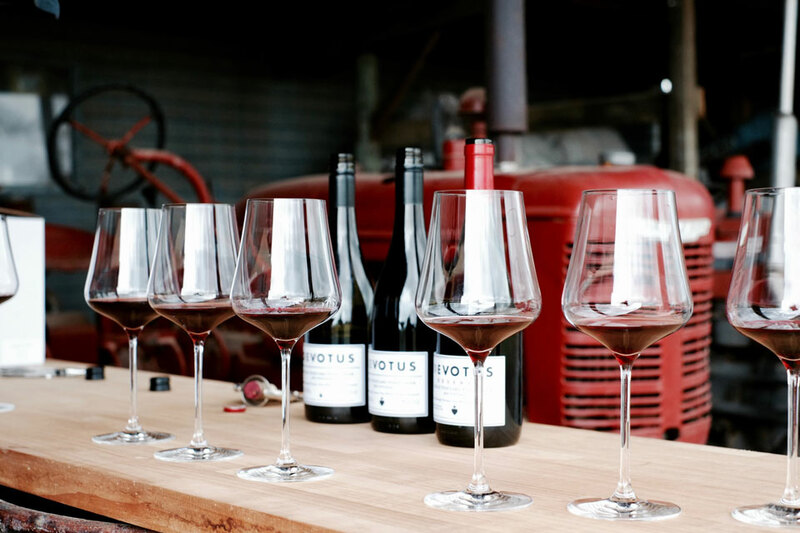 If you ever find yourself wanting to better understand the ins and outs of organic pinot noir farming, there’d be few more ideal people to talk to than Don McConachy of Devotus (devotus.nz). An engineer in a previous life, McConachy would spend his holidays visiting and working in vineyards in Bordeaux, Burgundy, Tuscany and South Africa after developing a serious passion for wine while working in the Netherlands. He and wife Valerie bought their three-hectare plot in 2008, but didn’t find the confidence to make any wine from it until 2014, so particular they were in ensuring the vines were at their optimum health. Family-owned Devotus pride themselves on quality. “I’m not a winemaker,” asserts McConachy. “I’m a farmer and my real job is to grow the best possible fruit.” The wine is produced in minuscule batches, and though not overpriced, much of it is sold en primeur – something of a novelty for the region. It’s all pinot noir, produced from six different clones across three labels. Again, there is no cellar door, but contact the affable Don and he’ll be happy to share his wisdom (and wine). Next, head over to Schubert Wines (schubert.co.nz) where, since 1998, Kai and Marion Schubert have been crafting high quality pinot noir and sauvignon blanc from their two plots of land. The cellar door is open for tastings which are NZ$5 per person (book ahead for groups). Just around the corner is the modern home of Palliser Estate (palliser.co.nz) whose renowned sauvignon blanc or the great value Pencarrow Pinot Noir are likely to be familiar to Aussie readers. Palliser may be one of the region’s larger producers, but the element of quality remains in the front seat. 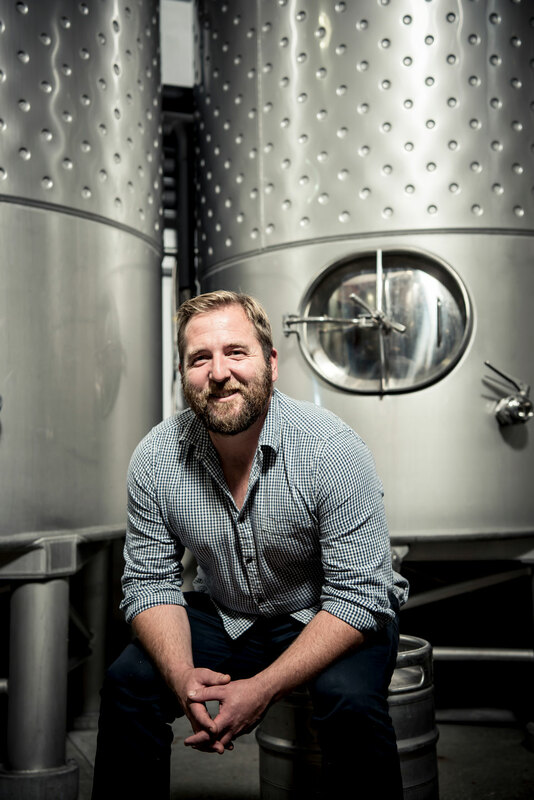 Allan Johnson is the winemaker, and with CEO Pip Goodwin and viticulturist Guy McMaster, he also crafts top riesling, pinot gris and chardonnay, with a good amount of focus on sparkling wine. Sample the wines before selecting a favourite to pair with a local produce platter, best enjoyed on the winery lawn overlooking the vines. Tim and Margaret Coney, along with daughter Lisa, are the team behind the final stop, Coney Wines (coneywines.co.nz). 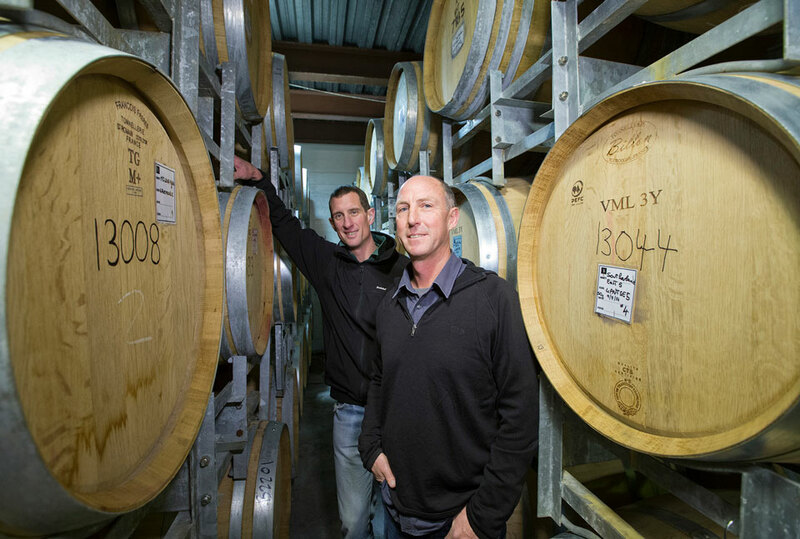 The Coneys have been tending to their six-hectare plot of pinot noir, pinot gris, riesling and syrah since 1996 and produce a suite of wines whose names reflect their prevailing obsession with music. It seems lighthearted but the wines are totally serious, offering great complexity; evidence of both Tim’s viticultural handiwork and the deft hand of Lisa. Margaret was a chef by profession and has designed the enticing restaurant menu – perfectly complemented to the wines; sublimely served atop a table in the sunny courtyard. With that, it’s back to Wellington, hopefully with a boot full of pinot and other favourites, but with its ever-growing tourist offerings, convivial neighbourhood vibe and consistently great quality food and wine, you’ll no doubt already be planning your next Martinborough trip. It’s just one of those places. ‍A blend of Abel, MV5 and young Dijon clones fermented with natural yeasts. The result of a small vintage with small yields, this is a textbook example of Martinborough pinot noir. From one of Martinborough’s coldest vintages in a decade or so, this 100% Mendoza clone chardonnay is really smart. Fruit, acid and oak all hang perfectly in balance. Helen Masters has an incredible knack for making seemingly understated wines that almost magically evolve with time in the glass; this sauvignon blanc is no exception. Small amounts of skin contact and whole-bunch fermentation have resulted in a gloriously textural wine. A delicate perfume of cherry and forest floor make for quite an elegant take on Martinborough pinot, underpinned by a light palate weight and emery board tannins. A ‘proper’ and delicious example of skin contact white wine made from pinot gris and riesling. It may be from the Crosbys’ first vintage at their new home but gee this hits the mark! Floral and perfumed with an elegant, savoury structure and loads of complexity. A uniquely Dry River blend of pinot noir (50%) and equal parts syrah and tempranillo. 2016 was considered a dream vintage in Martinborough. This medium-bodied pinot is a great snapshot of both site and vintage, exhibiting earthy, sour cherry characters. Off-dry in style, this aromatic and textural pinot gris offers floral, cut green apple and pear aromas, flavours of honeysuckle and stone fruits and a mouthwatering phenolic structure. From a great vintage comes this classic example of the Escarpment style. Whole-bunch pressings with partial skin contact has resulted in a complex, textured chardonnay. You can really see the outcome of Don McConachy’s agricultural prowess in this wine, its many layers offering thought-provoking drinking with a definite ‘mineral’ element. A great, medium-bodied example of Martinborough syrah offering spice and dark fruits. Martinborough is significant. An opulent, structured pinot of upper echelon quality.